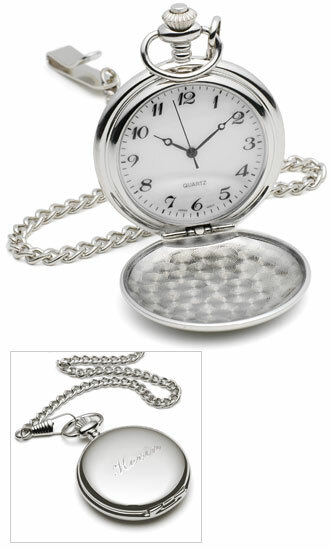 You had the time of your life -- thank your groomsmen with this fitting classic pocket watch. The silver-plated watch pops open to reveal a light face with black numbers and a second hand; it comes complete with 12" chain. 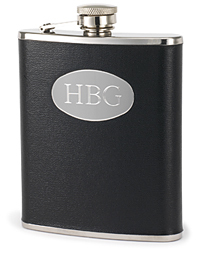 Personalize the gift with a name engraved on the watchcase. 1 3/4" x 2 1/4".